Normally when a new sequel to a franchise is released we get a list of bullet points explaining the new gameplay mechanics or the game looks completely different. 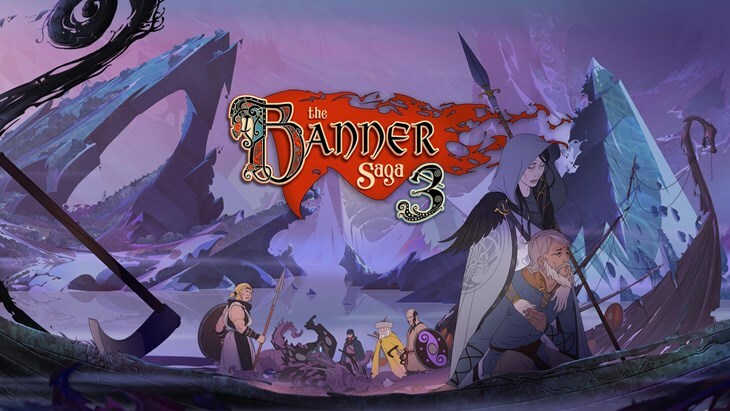 With Banner Saga 3 we get more of the same, which isn’t anything to fret over since the first two games were great to play. 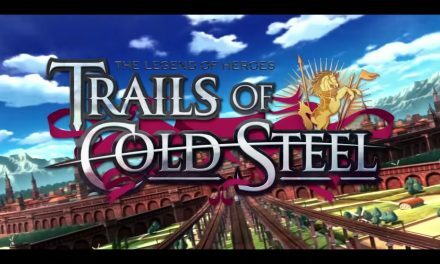 In some ways it feels like all three games could have been packaged together as one title, but were instead released as episodic content. As such, the continuing story really does preclude someone from simply hopping into the third game before playing the first two. There’s really no point to doing so and I highly recommend starting the saga from the beginning to gain the full impact of the story and attachment of the characters. One thing that’s abundantly clear in this sequel is that things are coming to an end. One way or another the story is going to play out and it’s your decisions that will impact the narrative. Playing through the game it felt like after every battle there was some sort of major decision to make and I never quite knew what would happen next. Instead of making the “right” choices I gave up and just went with what I wanted to see. The results were mixed with some stories not going the way I’d have liked, but you know that’s just like real life. You’re not always able to fully control the randomness of what could happen, so it’s best to just go with the flow. Worst case is you load up an old save or you choose differently the next time you play to see the results. If you’ve played the prior two games you know what to expect here. 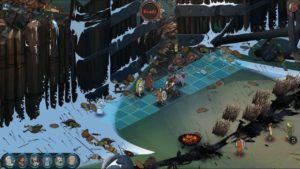 Banner Saga 3 features tactical turn-based combat set on a grid. Unlike many games of this type, the battles normally progress with one of your allies getting a turn and then an enemy going next. You can choose to attack the enemies’ health or their shields. 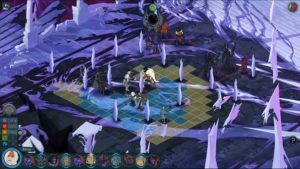 Lowering the shield defenses will make subsequent attacks more powerful and archers will have a better chance of mortally wounding your foes. Each of your characters will have different special moves and abilities to level up and use on the battlefield. Some battles will let you take on more enemies after winning to try and earn more experience and better treasures – if you so choose. I found there to be enough battles as is and my characters were pretty well leveled by this point so I didn’t bother too much with the optional stuff. Graphically the game looks as great as ever. 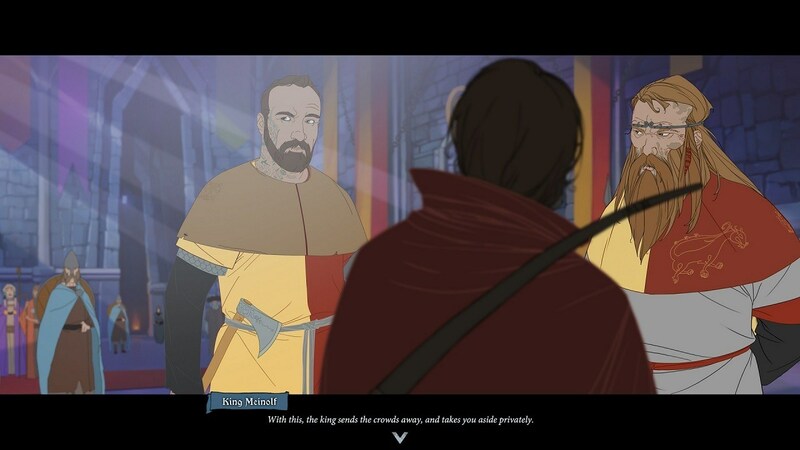 The art style is something similar to what kids watched back in the late ‘80s and it’s awesome to see in a video game. The massive vistas and environments are always a sight to behold and the game runs great in handheld and on the TV. I do wish the game would cut away during battles like Fire Emblem to show off some dramatic fight scenes instead of always keeping the view above the characters. The music is great as always. 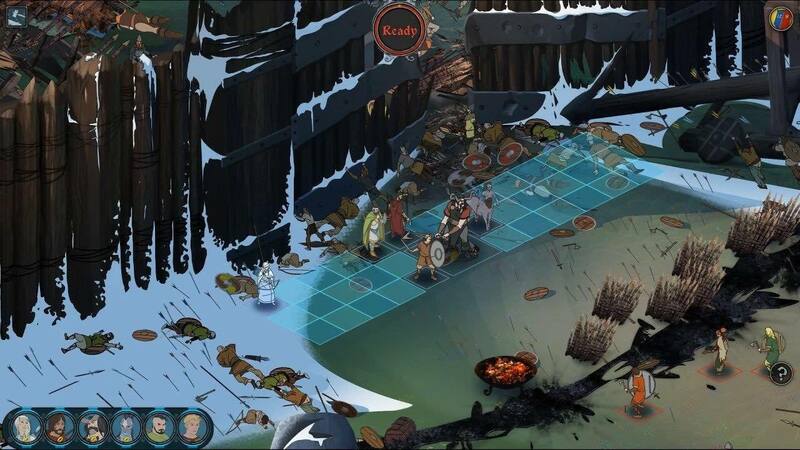 The game has a sort of Viking motif to it and the battle horns and sound effects all fit the world well. The voice acting is top-notch – I just wish there were more of it. The somber soundtrack will definitely get you in the mood to kill some baddies. 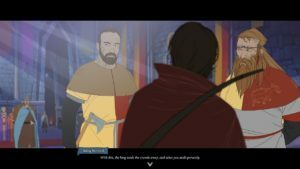 In the end, Banner Saga 3 delivers a satisfying conclusion to the trilogy. 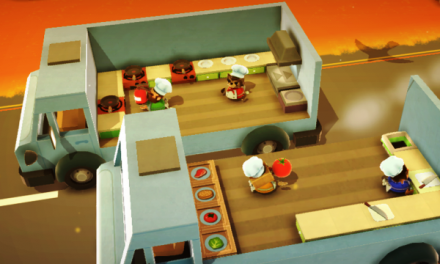 The story has many twists and turns and the game moves along at a quick pace. Much like Game of Thrones, I became attached to certain main characters and would hope they’d somehow survive until the end. Sure, there are some throwaway characters and not all of them are as important to the story as the rest, but after playing three entire games with some of them it’s hard to not root for their success. At the end of the day, this game is more of the same, but when it’s based on such a good foundation that’s not a bad thing. If you enjoyed the first two installments, this one’s a no-brainer. If you’ve never played any of the others, start with the first and work your way up – you’ll be glad you did!